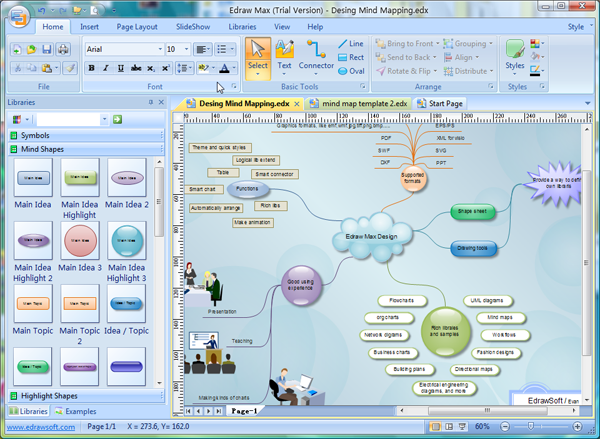 Edraw Max is a vector-based diagramming software with rich examples and templates. Easy to create flow charts, organizational charts, business process, UML diagrams, work flows, program structures, network diagrams, chart and graphics, mind map, directional maps and database diagrams. With pre-drawn libraries and more than 4600 vector symbols, drawing couldn't be easier! With pre-drawn libraries and more than 4600 vector symbols, drawing couldn't be easier! You can create a wide range of diagrams using templates, shapes, and drawing tools while working in a familiar office environment. Easy to create flow charts, organizational charts, business process, UML diagrams, work flows, program structures, network diagrams, chart and graphics, mind map, directional maps and database diagrams. Edraw Max includes all the libraries and examples of Edraw product line. AlphaPlugins LaunchBox - AlphaPlugins LaunchBox lets you launch your favorite Photoshop plug-ins under Lightroom, Aperture, iPhoto and moreâ€¦ even if you don't have Photoshop installed!